Variants are things that can change from customer to customer. Like different size and colour. Setting up variants are required when using our app. 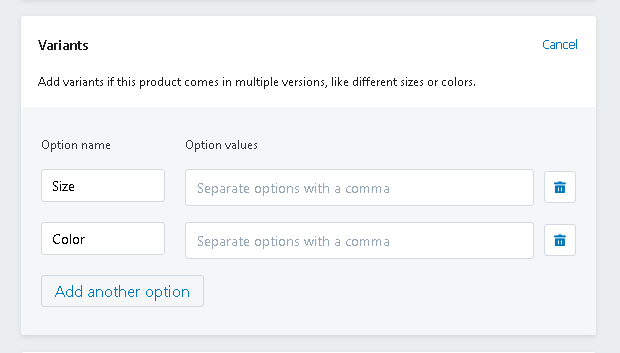 But don't worry, adding "Variants" to your product in Shopify if fairly simple, just follow these steps. 1. Click on "Add Product" at the top of your shopify admin or open up a product you want to add variables to. 2. Click on the "Add variant" link - The options are pre loaded by shopify. Thats it! Just save it your done. Note: Make sure your colour works for your design. We only allow one artfile per position, for each product. So if your artwork is different (even if it's just a colour change) we consider this to be a different product. 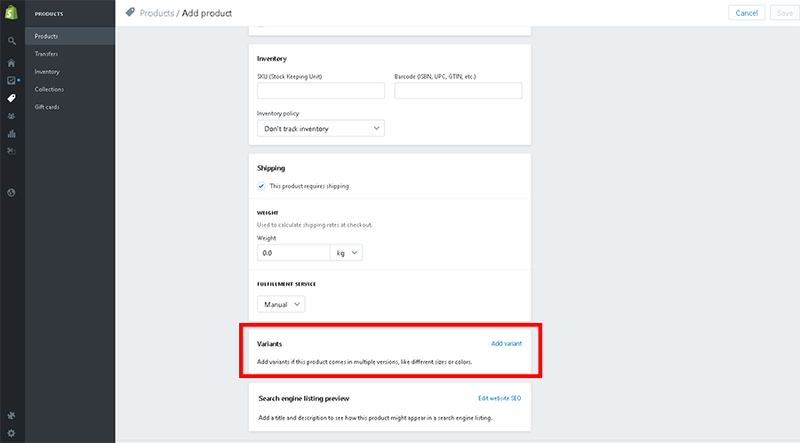 Related articles Woocommerce - How to Add Product Attributes and Variations? Item Style - What do I put in this field? DrpStyle? Artwork - Can I have 2 different artworks for my product?